Have you been looking for a home with an easy commute to Fayetteville, Ft. Bragg, or Raleigh? Look no further! 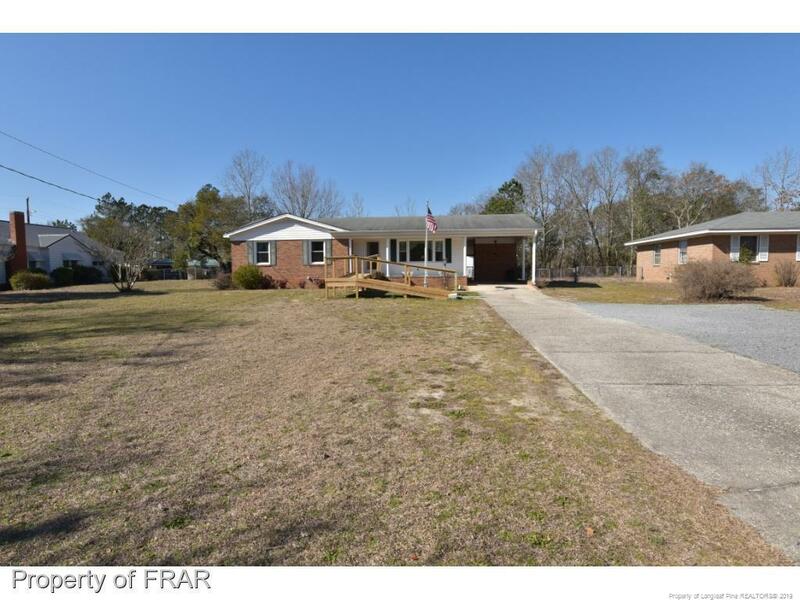 This cute brick ranch is loaded with charm & ready for you! With a storage shed/workshop with 3 accessible areas, attached carport with storage room, fenced in backyard, and covered patio, you'll want to spend your free time outdoors! Gorgeous hardwoods! Schedule your private tour today, and don't miss out on this cute home! NEW HVAC! Directions: From Hwy 13, Turn Onto Pembroke Rd, Turn Left Onto Dunn Rd, Home Is On The Right.